Thomas Phelan, 45, of Brooklyn, passed away on March 16. He will be remembered for his heroic actions during the terrorist attacks on September 11, 2001, the countless lives he was able to save, and his years of service in the FDNY and to the City of New York. Phelan was working as a captain on the Circle Line Statue of Liberty ferry cruises when the Twin Towers were attacked. He decided to act, so he turned his boat into a lifesaver and set out to help as many people as he could. Phelan brought supplies and rescue workers into Manhattan while also evacuating as many people as he could out of the city. It is believed he saved hundreds of people through his heroic acts. In 2003 he joined the FDNY where he was assigned to Engine Co. 55. He later joined Marine 9 in Staten Island, where he worked as a pilot. Phelan died of cancer, which is believed to be caused by the toxic fumes from Ground Zero. 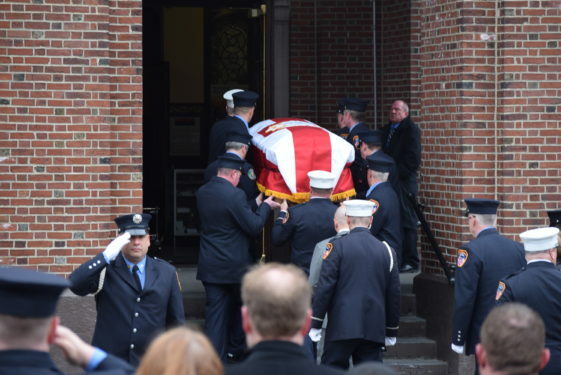 The funeral took place March 20 at St. Michael’s Church in Sunset Park where Phelan was a proud lifelong parishioner. 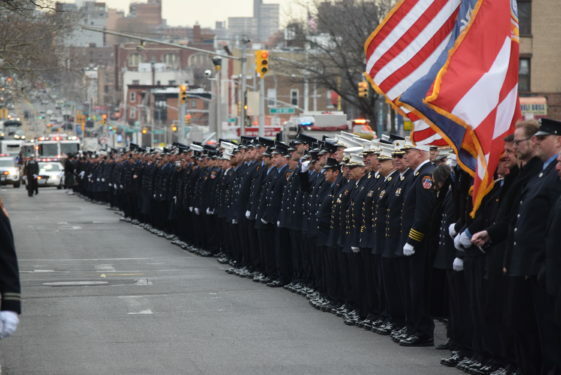 Firefighters, cops and people from all over the city came to mourn the hero and pay their respects to one of the city’s Bravest. 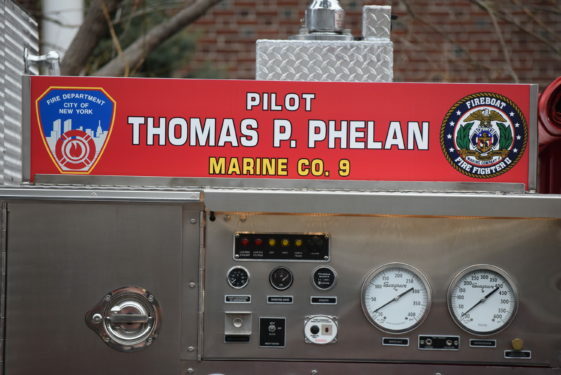 Phelan’s brother firefighters lined Fourth Ave. for a final salute. Burial followed at Green-Wood Cemetery. Father Kevin Sweeney, pastor of St. Michael’s and a personal friend of Phelan, remembers his friend and hero. “He was someone of great faith which gave him strength and courage when he served our city. He was always smiling and truly was a great man that so many people looked up to. He was very present in the parish and the neighborhood, if anyone needed his help he was always there for them. Everyone he met loved him.